I missed joining Marzie’s contest at her main blog. Then again, I was given the a second chance at her Perfume Gallery blog. This is my last chance to join and grab the cute pink bear.Though my son got hospitalized causing me to be late, the sweet and kind Genie Princess gave me a chance. I am thankful that my son is OK now! He is back and under home medication. He is active again despite his asthma. Thank you LORD! And also to Marzie for the chance to let me join this contest! 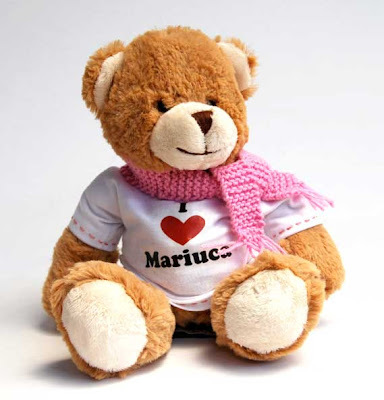 Anyway, I opted to name the cute teddy bear at Marzie’s place. So, I decided that I should name her “Pinkie Beary” just like strawberry! She is pink and so cute of a teddy! Hmmm…why I want to bring her home? Well, my daughter and I will not be able to celebrate Christmas together because of financial difficulties. We could not afford her boat fare and my mom’s for them to be able to be here with us. It’s really difficult and hurting but we have no choice but to wait until March 2009 when her school is finish. That is the time that my daughter and I will be reunited once again. So, if I win Pinkie Beary, I am hoping to send her to my daughter as a Christmas gift and a symbol of promise that mama and papa will get her soon. I am sure Pinkie Beary and Micah would have been a great team! thank you GP! i am so happy that i was given the chance. by the way, i have edited my entry now because of the chance you gave me. muah! hugs and kisses to GP!! I’m truly sorry to hear about your son.. and not being able to spend Christmas with your daughter. This must be really hard on you.. can you tell me how much it will cost you to visit your daughter..?? I just got your message, do you know that now EC member can send 25,000EC per week. Rose told me that sponsor can keep ec themselves and send to winners when contest announced Winners.